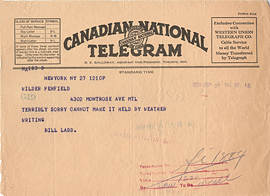 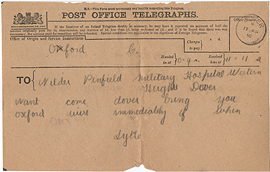 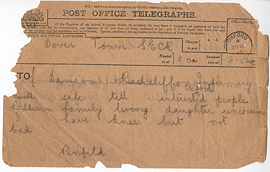 Telegram from William Ladd to Wilder Penfield, September 27, 1934. 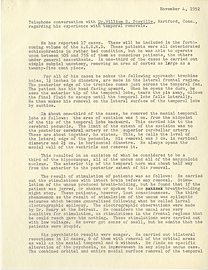 Telephone conversation with Dr. Convery, March 19th, 1943. 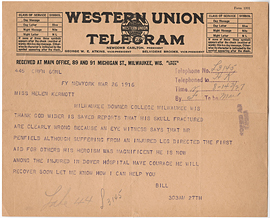 Telephone conversation with Dr. William B. Scoville, November 4, 1952. 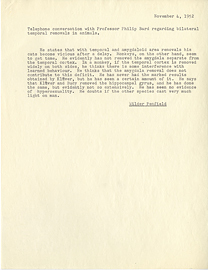 Telephone conversation with Professor Philip Bard, November 4, 1952. 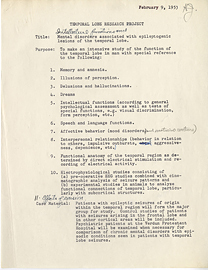 Temporal Lobe Research Project, February 9, 1953. 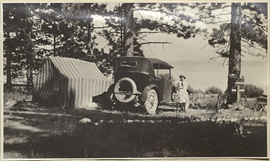 Tent, Autmobile, Child and Woman, photograph. 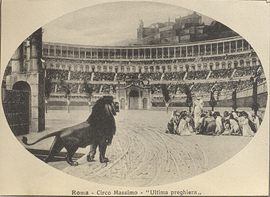 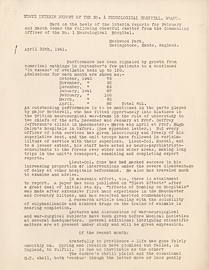 Tenth Interim Report the No. 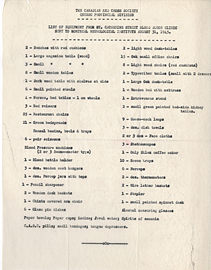 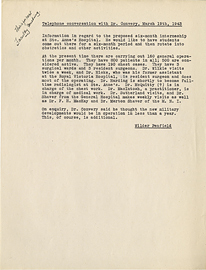 1 Neurological Hospital, RCAMC, CASF, April 30, 1941. 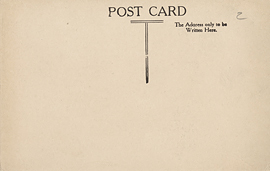 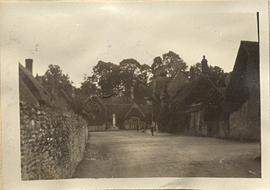 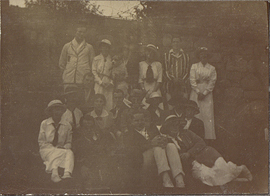 The Cottage Hospital, Basingstoke, postcard (back).